Jodi Gold spoke at my school's Parents Association meeting on finding balance in children’s use of technology (in its various forms). She was entertaining, informative, and most of all, constructive. 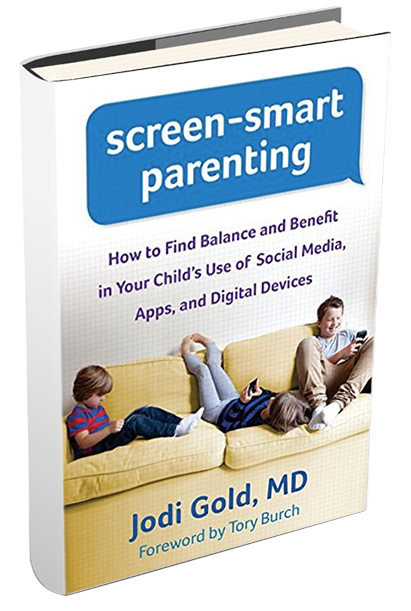 I have not read her book (screen-smart parenting) yet (though I purchased it on the spot), but if it is half as useful as her talk, it is a must read. She gave us practical advice upon practical advice: everything from how to talk to your kids about selfies to creating family guidelines and behavior plans that work, and much more. The key take away for me was that working on kids’ healthy relationship with technology should begin in nursery school. This app, without overstating it, is a game changer to me. It is a game changer because students will inevitably use it. The challenge for teachers becomes that knowing that, how will we assign work accordingly? The best assignment I could imagine would be for students to design their own app with the same functionality, the ability to solve problems. What would a computer need to be told to do to be an effective problem solver? I am not sure why, but I am really stunned by the capabilities of this seemingly simple app. Do you ever think about things but do not have the power over words to convey those thoughts to others? I think often about the judgments people put on others who speak differently than themselves. Jamila Lyiscott lays out the facts in pure poetic form. Enjoy, learn, and share. In schools we have the great privilege of choosing how we represent all kinds of families. This couple, featured in the NY Times, is a great example to share with adults and children of all ages. It is essential to allow our communities to see many different kinds of families, and this is just one. Bookmark it. This video is a commercial for a new set of toys for girls that challenges limited views of what girls want to play with. Watch these great kids sing and build a dream-like Rube Goldberg device. Girls rock!